Anthony Harvey / GettyColin Firth and his wife, Italian producer Livia Giuggioli. Italian police are investigating after Colin Firth and his wife Livia Giuggioli complained that a lifelong friend is stalking them. The alleged stalker is 55-year-old journalist Marco Brancaccia, a childhood friend of Giuggioli. The couple claim Giuggioli has been making threatening phonecalls and texts to Giuggioli and emailing photographs to Firth. 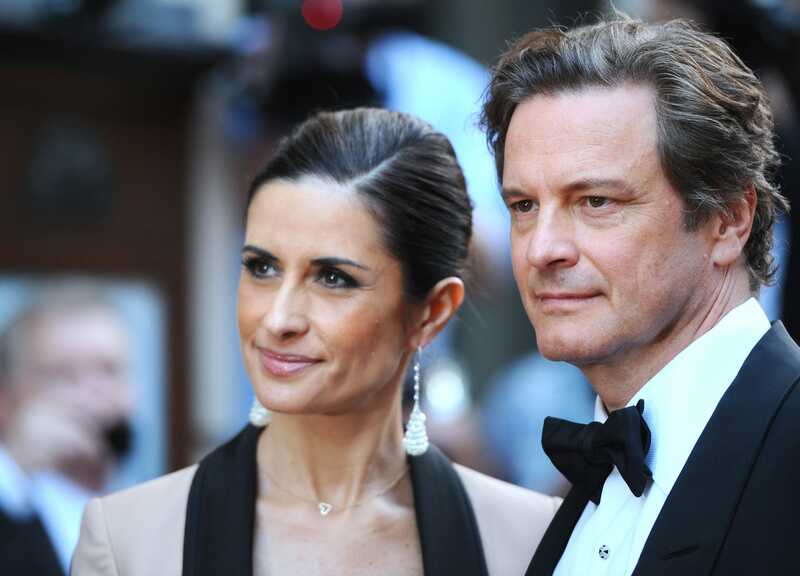 British actor Colin Firth and his wife, Italian producer Livia Giuggioli, claim a lifelong friend is stalking them and threatening to ruin their marriage. According to The Times, the alleged stalker is 55-year-old journalist Marco Brancaccia, a childhood friend of Giuggioli who works for Italian news agency Ansa and is stationed in Brazil as bureau chief. He denies the claims. The couple claim Brancaccia has made threatening telephone calls and texts to 48-year-old Giuggioli, who reportedly told authorities that she “lived in terror” of her former acquaintance. The pair also said Brancaccia has been “emailing photographs” to 57-year-old Firth. This prompted the Oscar-winning actor to contact Italian police, who are reportedly now investigating and have seized Brancaccia’s phone and computer. La Repubblica reported that Brancaccia began harassing the couple in September 2016 “because he could not face being cut out of the life of his friend.” He also reportedly threatened to write “compromising articles” about Firth and Giuggioli. Brancaccia’s lawyers reportedly denied the claims, adding: “Mr Brancaccia has absolutely nothing to do with the events described and has already filed a legal complaint to protect his good name and his honour, and to be able to supply his version of the truth of what happened. If the case goes to trial and Brancaccia is found guilty of stalking, he could face up to four years in jail. The couple live near the town of Città della Pieve in Umbria and have two sons, 16-year-old Luca and 13-year-old Matteo.